I am planning to attend the tourney portion of the geex show to support Jeff in the tournament! Lets all go to show our support! I've changed my Mind. I have registered to participate in the TrackMania Tournament right along side That One Guy and Tsam who have already registered. Let's get a few more FNG'ers to join! 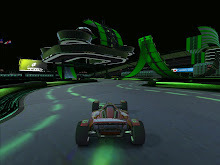 It's only $40 (before July 13th - deadline extended), and there are raffles for prizes, and two hours of uninterrupted TrackMania Nations Forever! *AND* $2,000 in prizes will be awarded to 1st, 2nd and 3rd place, as well as 1 high-end video card for 1st, 2nd and 3rd place. It would rock to have all our FNG TrackManiacs participating in the tourney!